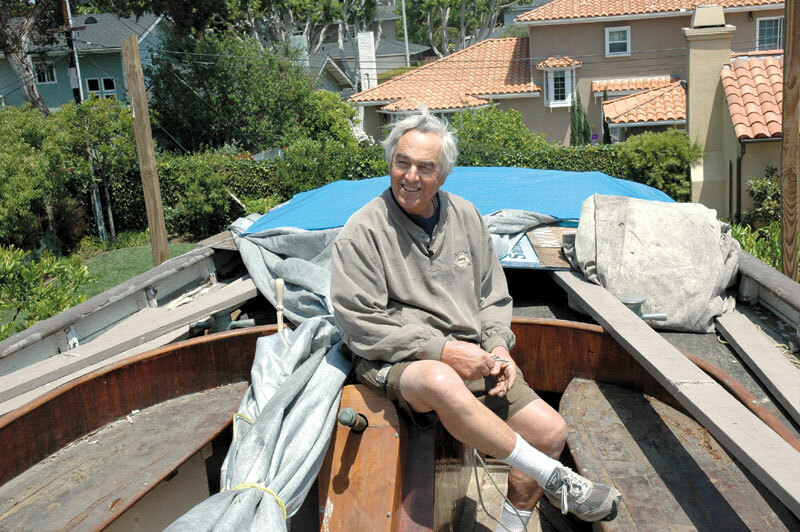 NEWPORT BEACH (AP) — Master shipwright Dennis Holland, who has been restoring a 72-foot 1916-built ketch in his yard since 2006, has reached a settlement with the city — just as a nuisance suit was set to go to trial April 30. Holland said April 28 that city officials agreed to his plan — to take the vessel Shawnee apart and reassemble it in his backyard, where neighbors can’t see it. Holland said he will plant trees to help obscure the boat. A judge was expected to approve the agreement, and Holland said he will begin dismantling the sailboat immediately. “That’ll be easy,” Holland said. “I love building things. I certainly prefer it to filing court papers,” Holland said. He has been restoring Shawnee in his yard for 6 years and had originally been issued a permit to do so. However, Newport Beach officials said Holland’s construction project violates a more recent ordinance, adopted in 2009. The city filed a lawsuit in June against Holland and his wife, Elizabeth. As part of the new settlement, Holland will admit the project violates Newport Beach code and will have 120 days to take the boat apart and either remove it or store it in a way that does not violate the law, city officials told City News Service. Holland, who has been battling prostate cancer, said he hopes to race Shawnee someday.